These 25 Pre-Wound Bobbins will make your projects Sew Easy. Bobbins are already full of beautifully bright and vivid thread. No more bobbin winding. This set offers an array of 25 color hues, ready to tackle any sewing, quilting, or embroidery job. Includes clear plastic case to keep the bobbins organized. I have started using the bobbins and so far I love them. I have bought some in the past and could never find the end to use them and just trashed them, but these are wound very full and the ends are just that, an end. So far so good! 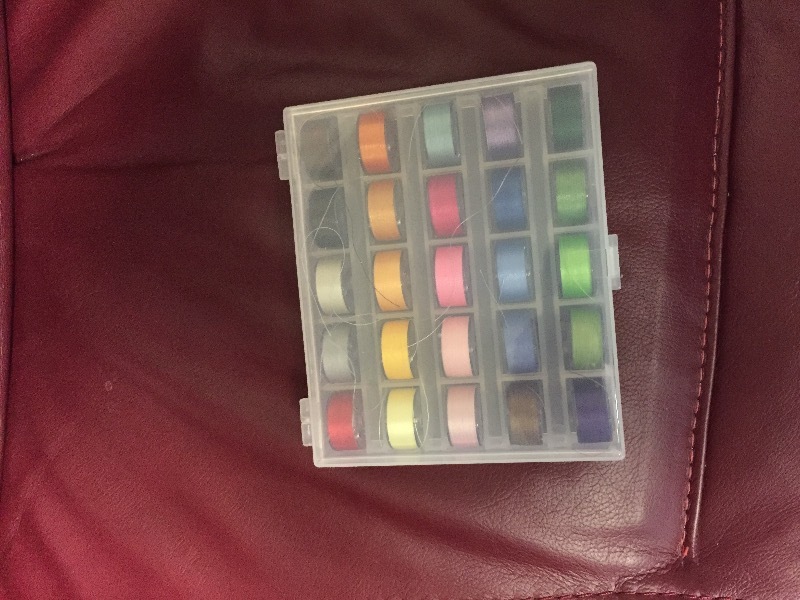 Good assortment of beautiful colors; very nice case, it keeps them orderly and untangled. Yes, I would definitely buy them again. Ii recently purchased a set of 25 pre-wound bobbins that were buy one get one free. It was a really good deal. Thank you.